I love eye liner. I wear a 60's style flick almost every day, so have found myself trying out many a liquid liner to find one I love. Nars released their new eye liner stylo a couple of months ago, and I was quick to hotfoot it to the counter in Liberty to pick one up in Carpates (black). 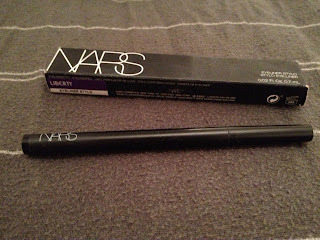 I was a little suspicious at first, as I've found with these pen type liners either dry out really quickly, get clogged up with eye shadow and stop working, or just generally don't apply as smoothly as a traditional liquid liner. 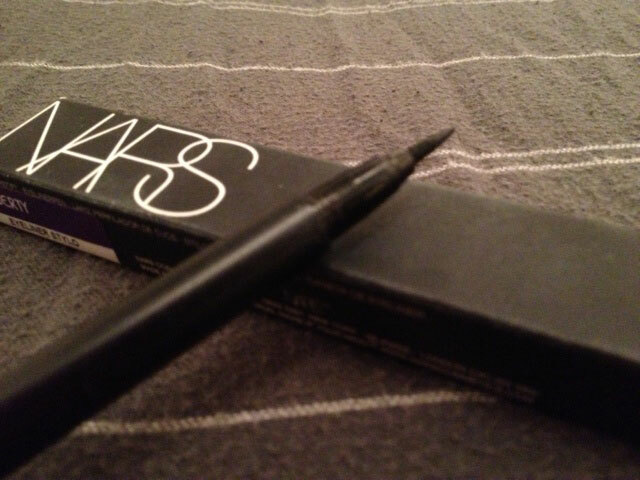 For the (not so bargainous) price of £19, I had high hopes for the Nars liner. The lovely counter lady assured me that they had built this pen liner to last, and that as long as I stored it on it's side, I shouldn't have any of the usual drying out issues. So, almost three months down the line, how do I feel? Well, I can happily say, that this baby is still going! I've used it virtually every day for three months and I love it. The nib was slightly stiff for the first few days, but this soon settled down and now applying the liner is a dream. The narrow tip means it's easy to make a thin line if you want, or create a slightly thicker one that I favour. For me, this has definitely been worth the £19 price tag, although it is with noting I have obsessively stored it on it's side as recommended, so I'm hoping that this has helped with it's longevity. 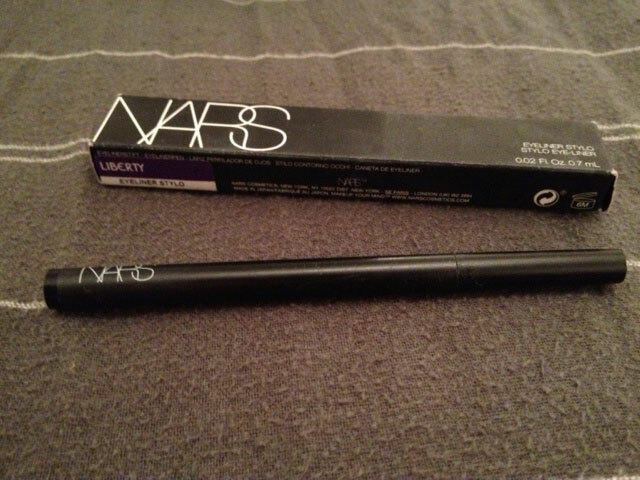 I will definitely be repurchasing when this liner finally runs out. The only downside that I've found is that it is in no way waterproof. The liner will not outlast your tears ladies! I don't have very watery eyes, so I've not found this to be an issue, but just something to bear in mind if you do. I was really impressed with how long it has stayed fresh, definitely worth a try if you like pen style liners.